Students created superheroes based on their cultural background and powers that the students felt best represented what they looked for in a hero. The students first created their superhero and then created the world in which their superhero lived. Students learned about Arabic calligraphy and common themes in Arabic art, including shading techniques and patterns. Students created their own names in Arabic and then in English. 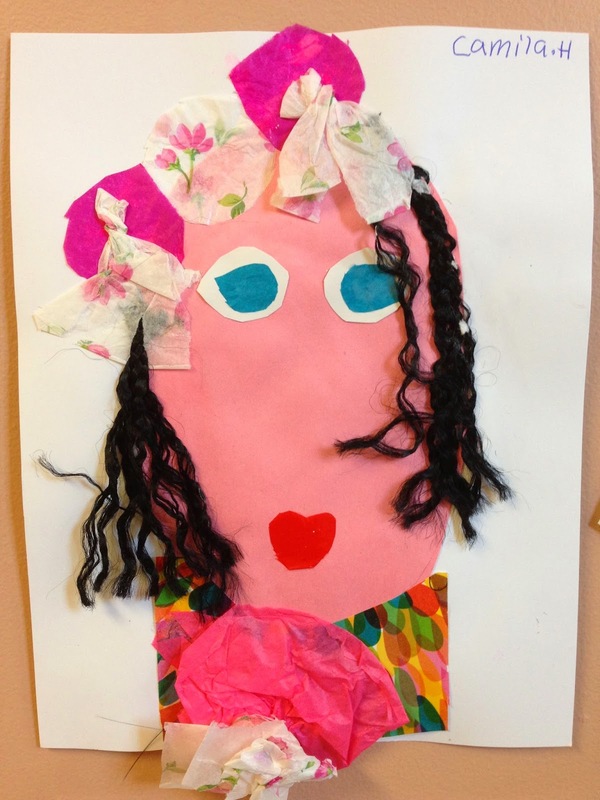 Students created collage portraits using construction paper and recycled materials to represent different parts of the face and other features.